It’s the most important thing you can do to help you child succeed. Research evidence shows that your involvement in your child’s reading and learning is more important than anything else in helping them to fulfil their potential. Books contain new words that will help build your child’s language and understanding. Children who are familiar with books and stories before they start school are better prepared to cope with the demands of formal literacy teaching. Reading together is fun and helps build relationships. Children learn by example, so if they see you reading, they are likely to want to join in. Reading with children, or talking about what they have read, is a wonderful way to show that it is an important and valued way to spend free time. Encourage your child to read to you. Follow the words with your finger and sound out the words (c-a-t: cat). Be positive. Praise your child for trying hard at their reading. It’s alright to make mistakes. It’s not just books. Point out all the words around you: labels on food, street signs, etc. Keep in touch with your child’s school and ask their teacher for suggestions on how you can help with reading and writing. Read yourself. Set a good example by reading for pleasure and talking about the reading you do at work and home. Find your family’s top five reads. Ask everyone in your family to name their favourite reads – it could be a book, magazine, comic or newspaper. Involve grandparents, cousins etc. And see if the neighbours agree. Encourage independent reading but remember, children will still love a bedtime story. Help your child to read aloud with expression so the story comes to life. This will help them read more fluently. Don’t worry if your child reads newspapers, magazines, comics and the internet as well as books. Often, when teachers and other people involved with education talk about “parental involvement”, it is assumed that they mean mothers. This view is often supported within families – the majority of “Dear parent” letters sent home by schools tend to end up with mum. But research shows that when dad gets involved, their sons’ and daughters’ achievement is enhanced. Dads and other male carers are just as important as mums in encouraging children to enjoy reading – perhaps even more so, since reading is often thought of by boys as a “girly” thing to do. Dads and other male family members are boys’ main role models in life. Seeing them enjoying reading will help boys to realise that they too can enjoy reading – they might just need help in finding the right thing to read. Given that girls outperform boys in literacy tests at all ages throughout school, and are much more likely to say they don’t enjoy reading at all, this is particularly important. Children who have favourite books when they are young tend to do better in school. Regular reading for pleasure and enjoyment of a wide range of materials can be the foundation for educational achievement and a lifelong reading habit. motivation and support to join a more formal education class, and opportunities for voluntary or paid work in schools or the wider community. 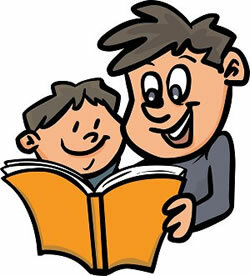 Even dads who support their children’s learning in other ways can be unsure of where to start when it comes to reading. 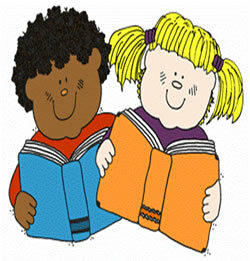 Remember that schools will have their own approaches to teaching children to read – your most important role should be in teaching them that reading is fun and will support their other interests, and is not just a “skill” that must be learned in order to do well at school or get a good job. Use the top tips on this site for ideas of things you can do with children of all ages to encourage them to enjoy reading. You don’t have to only think of reading in terms of “proper” children’s story books. 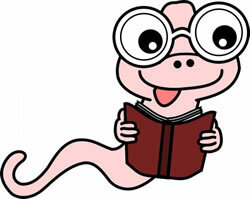 Many boys (and their dads) prefer to read non-fiction, including books, magazines and websites. Match day programmes, sports reports, ‘how to’ manuals and comic books are often great places to start. Your children can benefit just as much if you talk to them about this type of reading and what they enjoy. Start with interests you share with your child, and use these as the basis of your shared reading. Dads are sometimes good at bringing stories alive either by using different voices or humour. See if your child’s school has any groups for fathers. If not, get together with one or two others who are keen and see if you can set one up. Any informal meeting place will do to start, and just getting together to talk about successes, tips and frustrations can help to begin with. The school should be able to help in arranging sessions that involve both parents and children in shared activity.